Nintendo has released the launch trailer for Fire Emblem Echoes: Shadows of Valentia, out this Friday in the west. Watch it below. 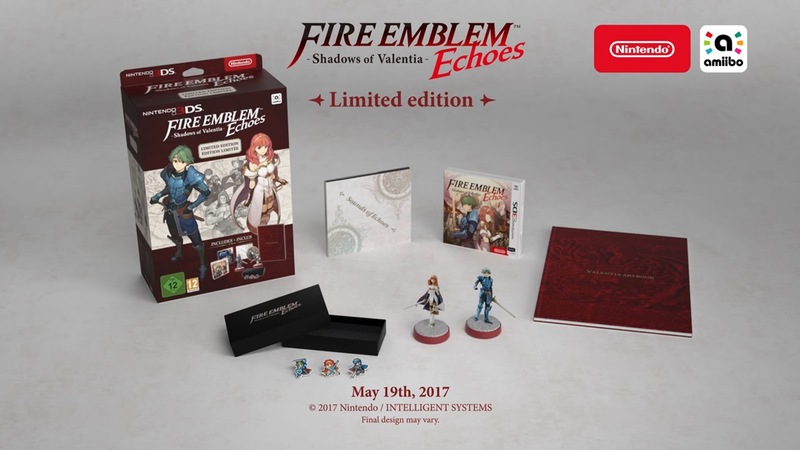 Nintendo Minute unboxed the North American Fire Emblem Echoes: Shadows of Valentia Limited Edition earlier this month. Now we have a look at the European equivalent, posted below. 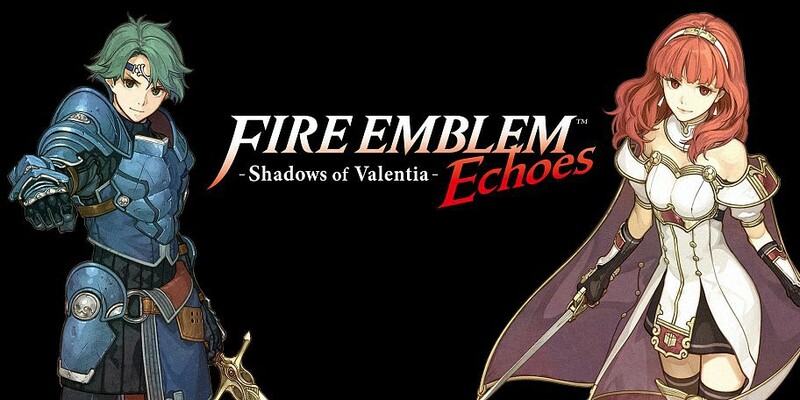 Fire Emblem Echoes: Shadows of Valentia will be released in the West this week, and to celebrate that occasion, a new reward is available on My Nintendo in Europe. 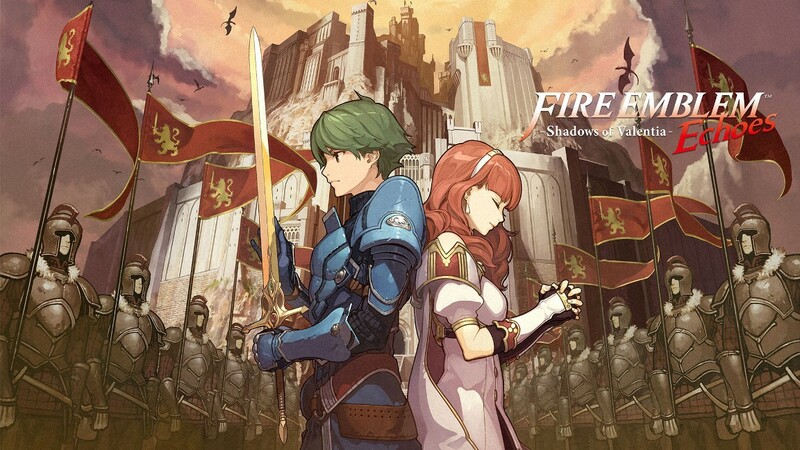 A Fire Emblem Echoes-themed wallpaper in various sizes for PCs and smartphones can be redeemed for 50 Platinum Points. The reward will be available until November 1st. 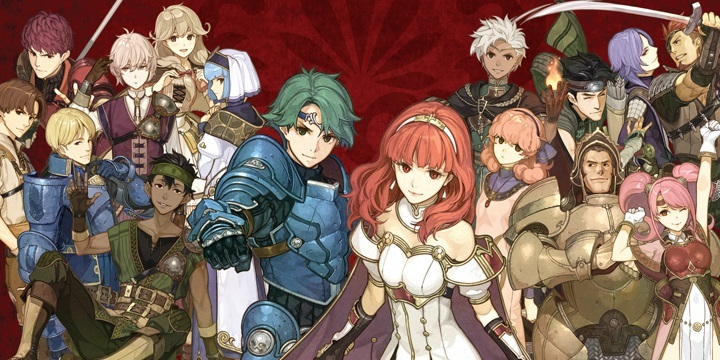 The latest live stream for the Fire Emblem 0 (Cipher) trading card game was held today. Arguably the biggest piece of news was the announcement of series 11. The Sacred Stones will finally be featured in addition to Fire Emblem Warriors. More cards from Shadows of Valentia will be included, too. 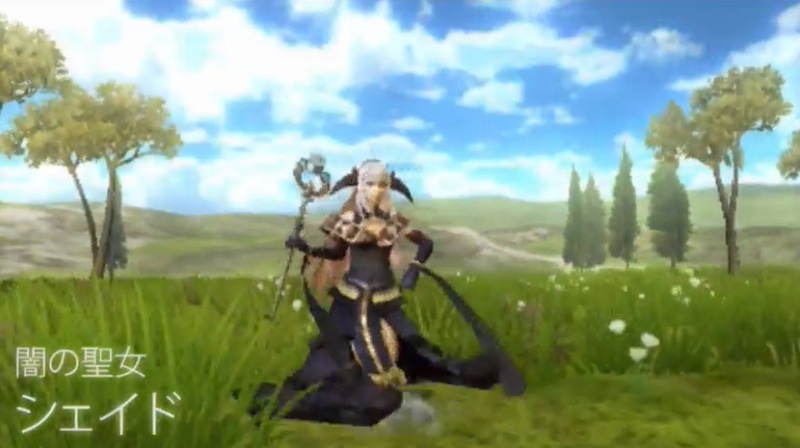 Also during the live stream, fans were treated to a sneak peek of sorts for the Fire Emblem 0 collaboration DLC in Shadows of Valentia. In-game models for Shade, Emma, Yuzu, and Yuzu were shown. Kirie from Serenes Forest captured a ton of different images from the live stream, posted below. Along with what we already mentioned, there was talk and cards shown for series 10 and more. 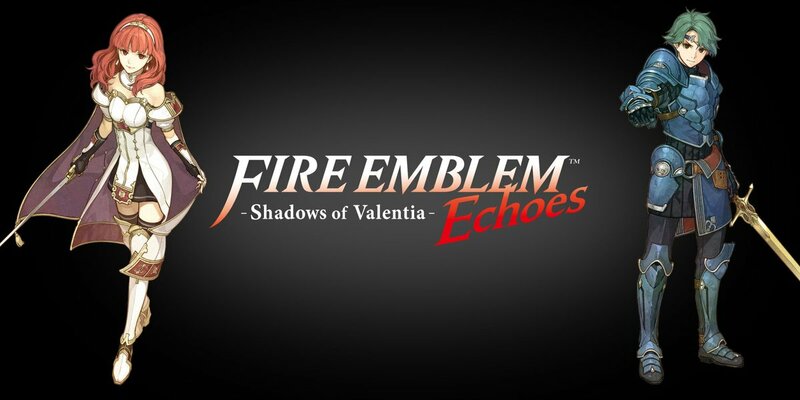 Nintendo has readied a new Fire Emblem Echoes: Shadows of Valentia commercial for its UK audience. Take a look at the advert below. 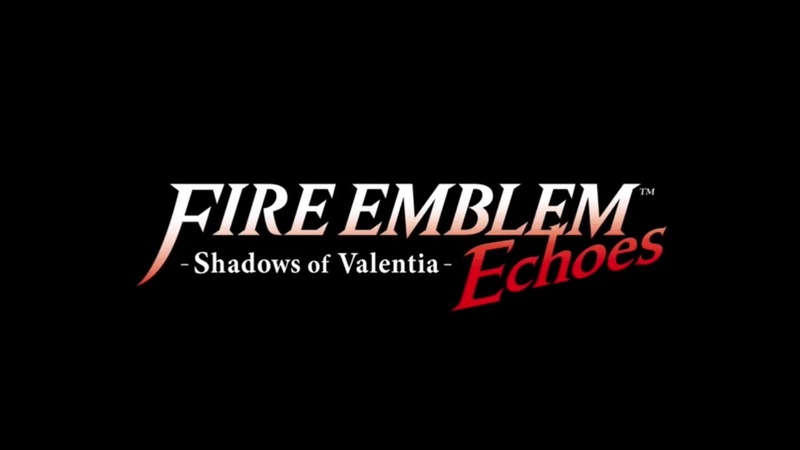 GameXplain has a new English video up for Fire Emblem Echoes: Shadows of Valentia. See the video below showing off some battles and a story cut-scene. GameXplain has just posted on their YouTube page new footage from Fire Emblem Echoes: Shadows of Valentia showing off one of the two amiibo dungeons you can access in the game with the new Alm & Celica amiibo. The footage also shows of Mila’s Turnwheel, which allows the player to rewind their turn and correct a mistake. Check out the video below to see footage of the dungeon. 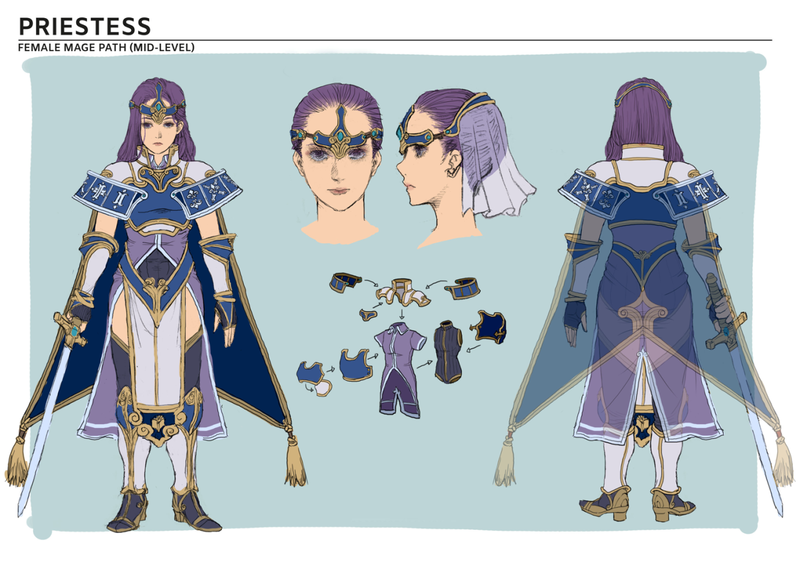 The Nintendo Treehouse Log updated with a new entry. 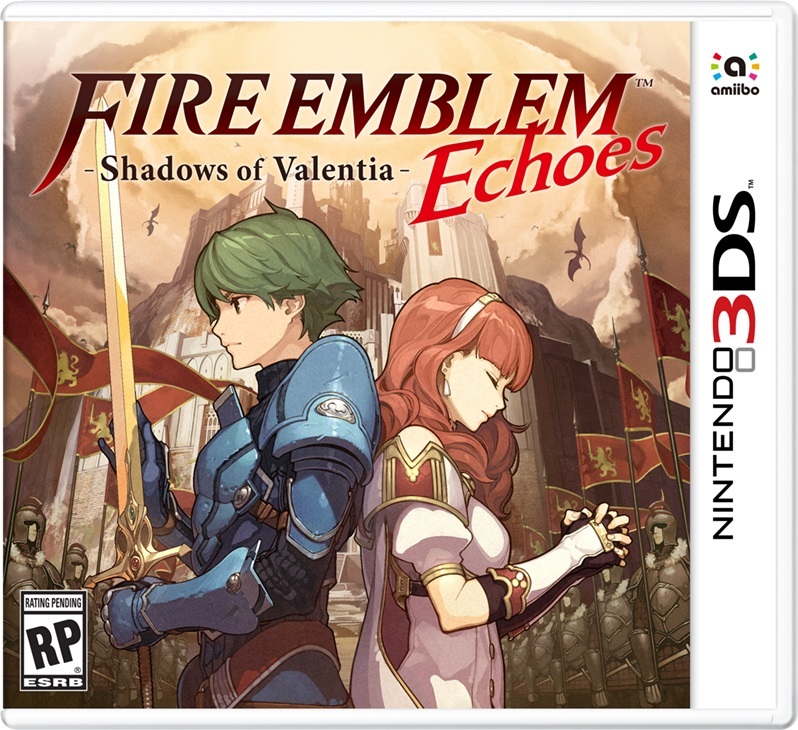 This time around, the focus is on Fire Emblem Echoes: Shadows of Valentia and specifically combat in the game. 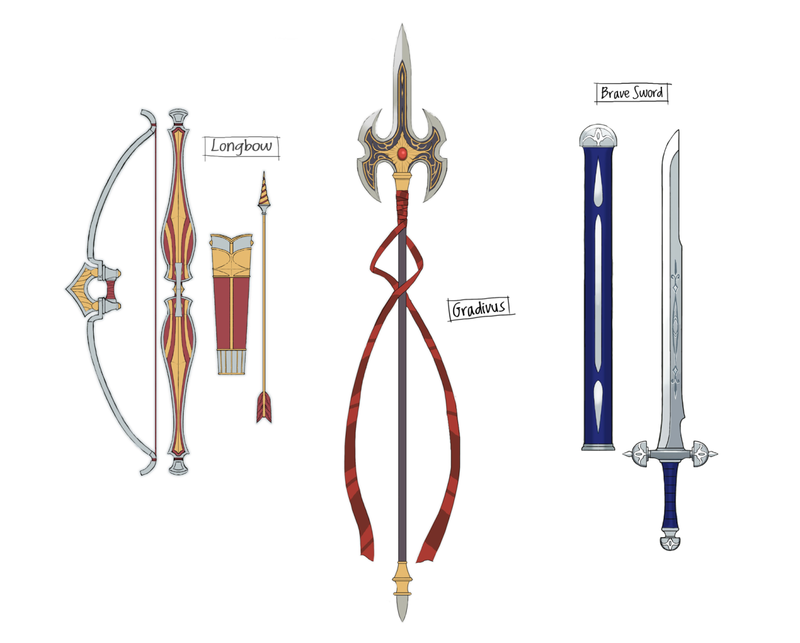 The post explains the mechanics of battles and how they stack up to previous Fire Emblem games. 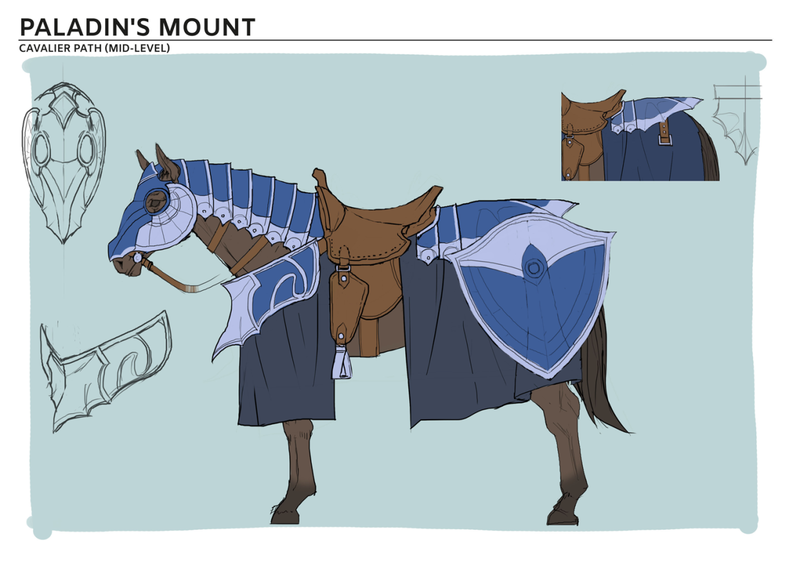 Some concept art is also included, attached below. You can read the full post here. 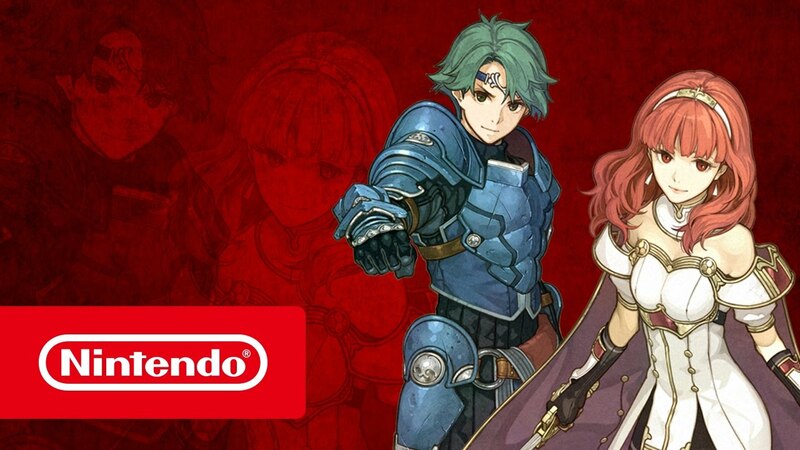 GameXplain held a live stream earlier today to show off the final English version of Fire Emblem Echoes: Shadows of Valentia. The full recording, containing 49 minutes of footage, can be found below.